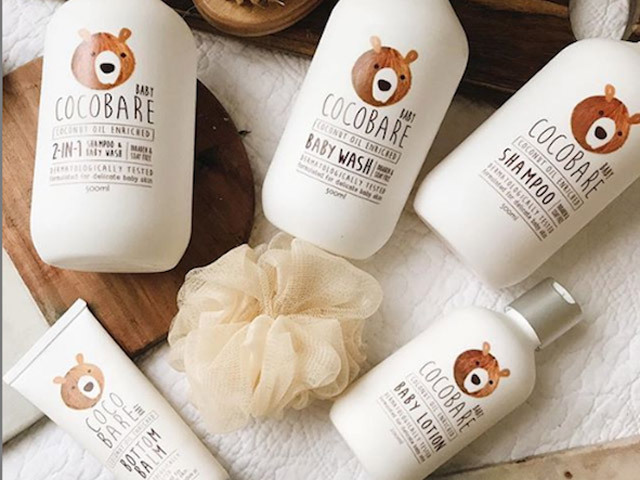 A skin care range that uses only the purest of ingredients, and formulated for babies delicate skin, CocoBare Baby is safe for both bub and the environment. Containing organic essential oils and the healing effects of Coconut Oil, the range is dermatologically tested, paraben and palm oil free, and does not test on animals. Unlike many ingredients in baby products today that are only designed to heal external tissue, the coconut oil used in CocoBare Baby penetrates deeper, moisturising and nourishing the skin. Coconut oil protects the skin from potential bacteria, and can help soothe skin conditions like nappy rash, eczema, and dry scalp.